3. 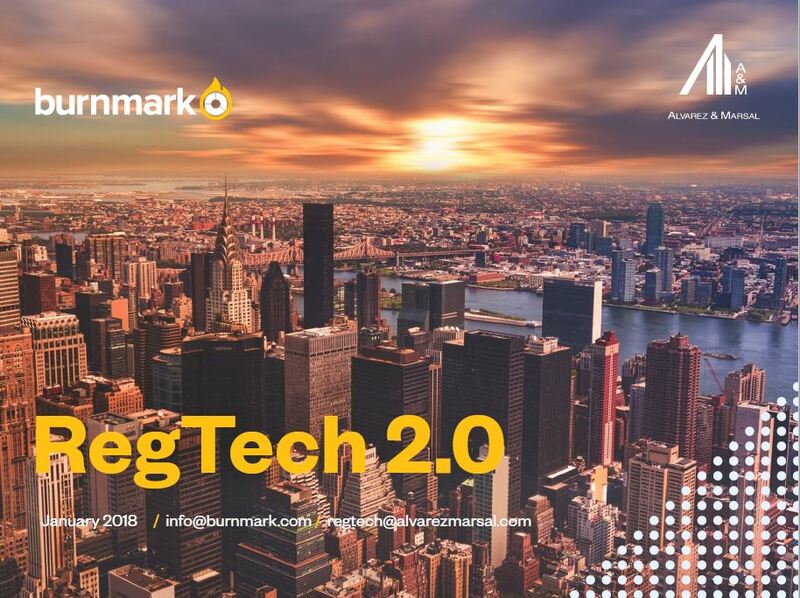 Existing knowledge and experience from live RegTech implementation projects managed separately by Burnmark and ourselves was also applied throughout the report. We would like to thank all participants who have contributed immensely to our study. As we look to a new era of RegTech, we hope this report will illustrate the current state and future developments of the space. Using proprietary cost review methodologies and capability maturity frameworks, A&M can create a ‘heat-map’ of compliance programme effectiveness and identify cost savings opportunities across the compliance operating landscape. Performing an end-to-end review of crucial compliance activities, starting with defining the key ‘problem statement’, A&M can design and develop a new target operating model, incorporating “proven” RegTech solutions. A&M works with clients to streamline their operations by simplifying processes, enabling cost savings whilst ensuring effective regulatory controls are still ‘designed-in’. Undertaking a “fit-for-purpose” review of RegTech start-ups and solutions being considered by a client, A&M can facilitate POCs, pilot initiatives and integration of new technological solutions and approaches into the compliance operating environment. Data is an organisation’s lifeblood. A&M provides data governance and analytical services to ensure that it is fully utilised to improve business performance, mitigate unnecessary risks, conduct intelligent investigations and strengthen regulatory compliance. Regulatory and operational experts provide advice, hands-on execution and independent review of regulatory programmes such that any changes proposed continue to meet the obligations of a regulated entity.